← Where do the ideals come from? Scientists all over the world work on synthetic biology. Here in Copenhagen we have the Centre for Synthetic Biology, part of the University of Copenhagen. At the Centre a large group of scientists from many different disciplines collaborate on synthetic biological research. Amongst other things, the Centre works on new methods to create important organic molecules, many of which are used in food and medicine. Many of these molecules are currently produced in ways that pollute the environment. For example, a lot of the vanilla we use today does not come from vanilla pods, but from a substance called vanillin, which is produced by boiling wood in sulphuric acid. Centre for Synthetic Biology scientists have now developed yeast cells that can produce vanillin. It is therefore possible to produce the substance in a more sustainable way, avoiding the use of sulphuric acid. Scientists at the Centre are also working on new methods to produce substances currently found in medicinal plants, which are often produced in very small quantities. Cultivating the plants in order to extract the useful substance is therefore practically impossible. Scientists are trying to create plant cells which can produce larger quantities of these substances. They hope that the cells can be grown in plastic bags in greenhouses, needing only sunlight and water. You can see more about the project here. 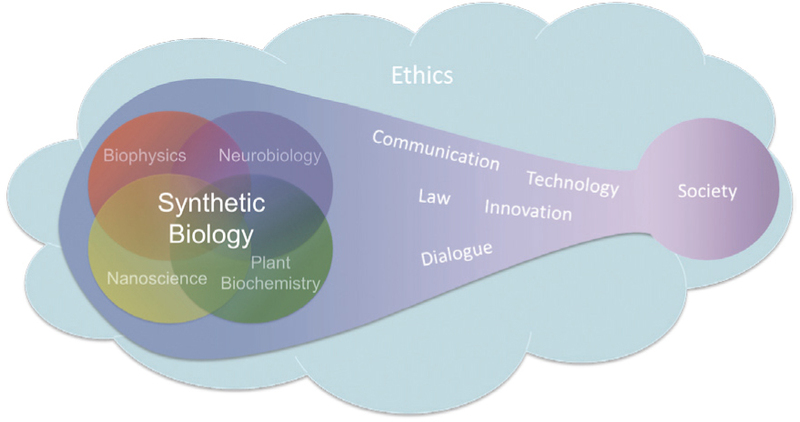 It is important to the Centre for Synthetic Biology to do research that is in sync with society. The bioSYNergy project, which is part of the Centre, employs bioethicists, communication researchers, and lawyers alongside researchers based in natural science. The Centre tries to develop new ways to use science in society. For example, some researchers work with open innovation and open patent models. The Centre also collaborates with Danish DIY biologists, and together they have exhibited at Copenhagen’s Medical Museion which you can read more about here.